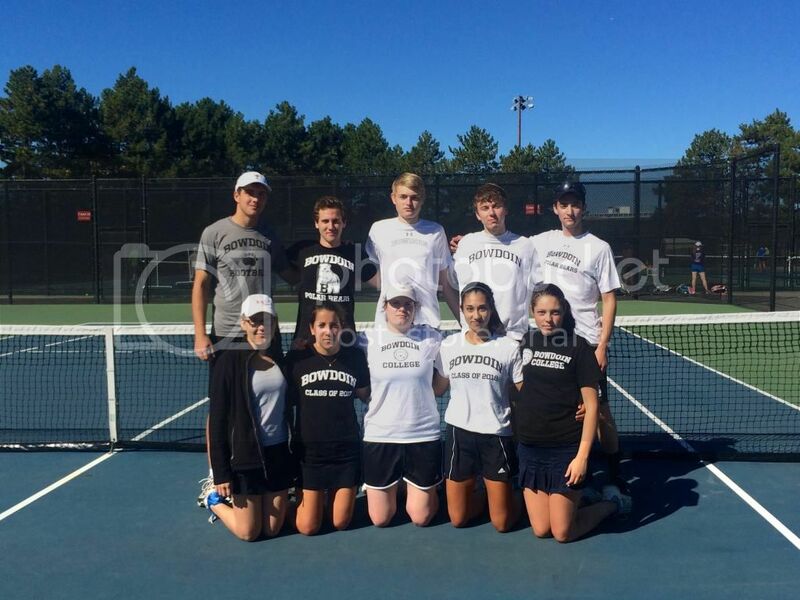 Posted in News	| Comments Off on Sectionals Win! 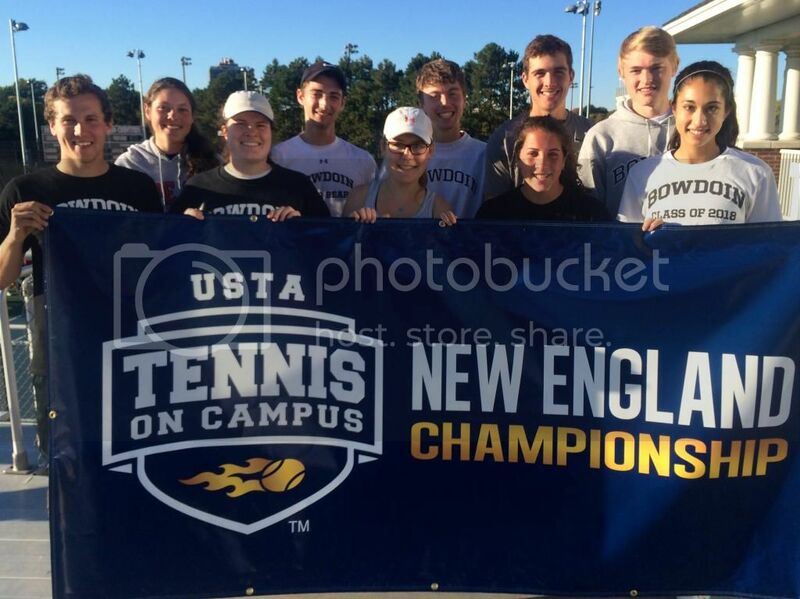 Bowdoin Club Tennis traveled to Boston to compete in the annual USTA New England Sectionals Tournament this past weekend. Despite the rain, Bowdoin still managed to play against four different teams. In the first round, Bowdoin played a tight match against UVM and lost 24-23 (in total games played). Later on Saturday, Bowdoin triumphed against Lasell College. On Sunday, Bowdoin lost to UNH 23-16 and won against UMaine Orono 25-19. Bowdoin hosted UMaine Farmington and UMaine Orono in scrimmage matches in April. The Polar Bears triumphed against UMaine Farmington 6-3 and went down 7-9 against UMaine Orono. 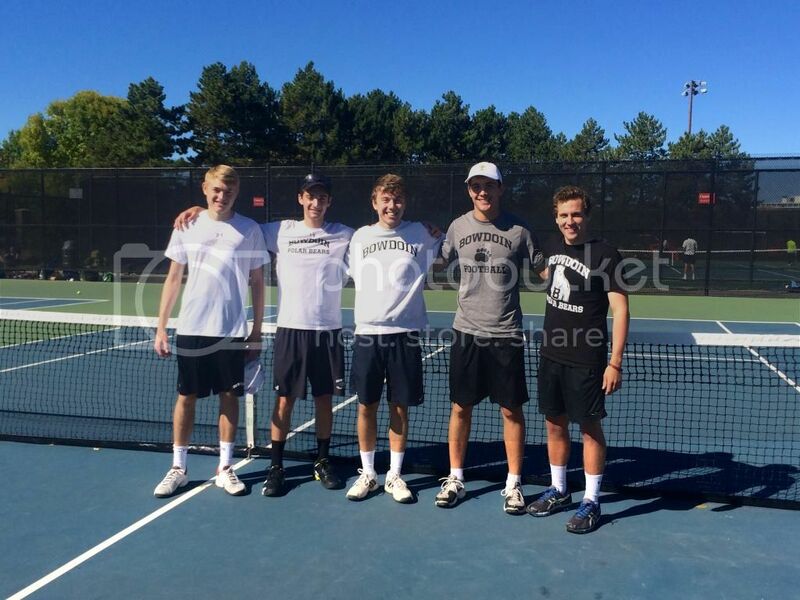 This season was especially sentimental because Andrew Haeger and Noah Finberg are graduating in the spring. We’ll miss you guys! Thanks to Natasha Alvarez, Allie Briggs, David Brody, Spencer Shagoury, Drew Fernandez, Reed Fernandez, Emily Licholai, Ethan Barkalow, Evie Mackenzie, Hailey Blaine, Adrian Van der Eb, Andrew Blunt, Andrew Phillips, Nicole Sadowsky, Greg Maslak, Andrew Haeger, Noah Finberg, Thomas Weisener, Kate Paulsen, Allison Wei, Sam Kyzivat, Zoe Wood, and Calvin Henry. In addition, thank you so all our supporters and fans! We really appreciate you cheering us on! 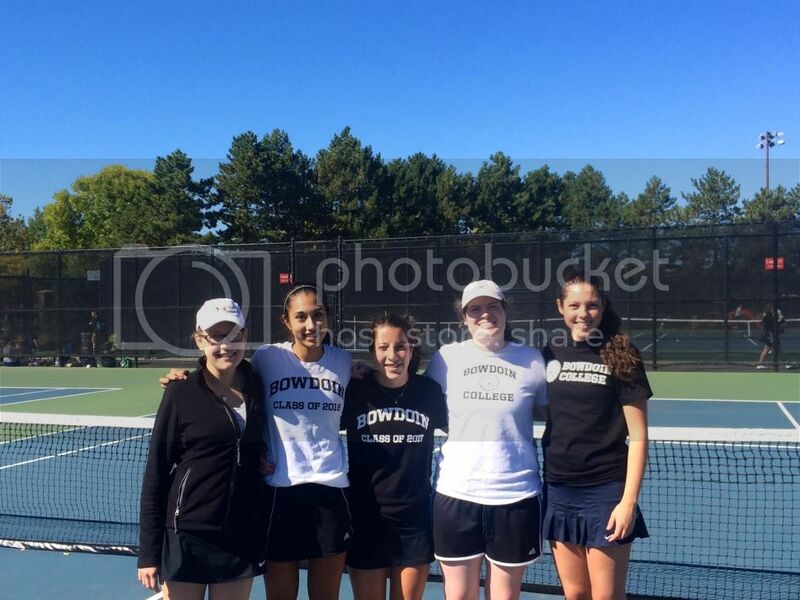 Bowdoin Club Tennis traveled to Boston this weekend to compete in Sectionals. 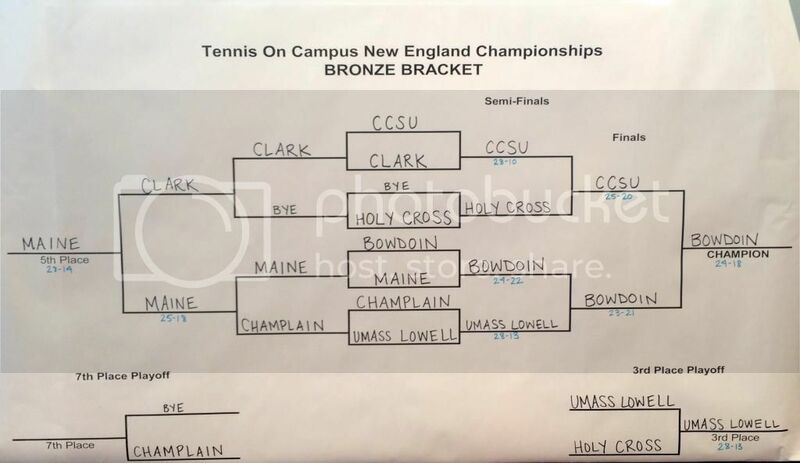 Bowdoin played in the bronze bracket and triumphed over CCSU in the finals.